On October 10, 2013 George Will’s column entitled “JFK and the Dawn of Punitive Liberalism” set me to thinking about what drives the liberal establishment and political elite in America. Mr. Will’s article is interesting and thought provoking. Is it correct? I would say, largely yes! He references a book written by James Piereson of the Manhattan Institute in 2007 entitled “Camelot and the Cultural Revolution: How the Assassination of John F. Kennedy Shattered American Liberalism.” Mr. Will states, “Hitherto a doctrine of American celebration and optimism, liberalism would now become a scowling indictment: Kennedy was killed by America’s social climate, whose sickness required ‘punitive liberalism.” That being a liberalism that would PUNISH America for her sins, injustices, and ills going all the way back to our founding. It was a belief that would be advanced in a more pronounced way that ‘punitive liberalism’ would be required to purge this nation of those who were other than liberal. Punitive liberalism would transform or undergo a metamorphosis into the doctrine of grievance groups who believed they are owed redress for cumulative inherited injuries inflicted by the nation’s flawed history, poisonous present and ruinous future. It would become, in its view, the sole legitimate conscience of the nation because those on the right and less committed liberals had allowed the culture and society of this nation to descend into a state so toxic that it could murder a beloved president. From that time forward to be a good liberal would require one to be one whose task and mission would be to scold and cajole anyone in opposition. Those they deemed guilty would of necessity be punished and made to pay for their errors. With that analogy in mind when one views the likes of Barack Obama, Harry Reid, and Nancy Pelosi it is easier to understand what is going on with them and why this president would want to MAKE THE AMERICAN PEOPLE FEEL THE PAIN so he could blame the Republicans for our economic woes. But, I am convinced that this is simply a tool that Obama and his handlers use allowing them to draw into their alliance those who follow liberalism and more directly punitive liberalism. It allows them to deceive and dupe countless groups and cement them as solid voting blocks for the left and the Democrat party. Those who believe they are ‘entitled’ to redress, reparation, and should be able to ‘punish’ all of a particular race or group who do not agree. Forget the fact that the Democrat Party has long had a history of being other than supportive of ‘civil rights’ and interested in the ‘middle class’. Yet, the core of liberalism certainly has been much more determined to revise history, force the nation to pay for the perceived sins they believe should be paid for, and propel them into a more solid position of power. The core of ‘punitive liberalism’ seeks to ‘fundamentally transform America’ into something other than a Constitutional Republic and are willing to sacrifice virtually anyone or anything to achieve their objective. I will acknowledge that from the time of the Kennedy assassination to the present liberalism has been much more aggressive in his pursuit and we have witnessed the transformation of the left politically into ‘style’ rather than ‘programmatic’. Liberalism has consistently become more and more concerned with lifestyle rather than material well-being. However, it is my contention that the modern ‘punitive liberalism’ that we are witnessing goes much further back than the Kennedy assassination and has been in the works for over 100 years and finds its roots in Fabian Socialism to name one group that it has evolved from. It is not truly interested in America because it views America as a flawed and evil nation. It is not interested in individual liberties because it believes that an All Powerful Federal Government is the answer to the problems of the nation. It is not interested in the Constitution because it considers the Constitution a hindrance rather than a guide or rule by which we operate. The Democrat Party, for the most part, certainly the National Party has so completely adopted the view of ‘punitive liberalism’ that it has become the enemy of a free nation. I am not saying every person that calls or identifies themselves as a Democrat follows that philosophy, but many do. Likewise I am not saying that anyone who calls themselves a Republican is good, moral, Constitutional, or desirous of an advancing Free Republic. There are bad eggs in both parties. The Republican establishment has become so like the Democrat establishment that it is in dire need of transformation. In fact, what it needs in the absence of a formidable alternative is to be ‘reclaimed’ by the rank and file as it was under Ronald Reagan. You can blast the ‘Tea Party’ and trash those like ‘Ted Cruz’ but if you truly follow what they promote you will find that their interest is America and returning to a Constitutional Republic. You either support that or you do not, there really is not gray area in which to stand at this time. I support a return to a Constitutional Republic that is governed and guided by the Constitution of these United States of America and will continue to recognize God’s hand in the formation and development of our nation. I will give myself to the cause of any candidate that truly demonstrates that as a foundational principle in their political philosophy and belief. We do not have to agree 100% of the time but we most assuredly must agree on the core critical points of that pursuit. 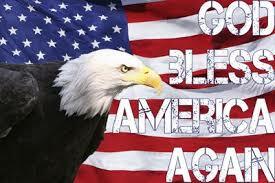 May God bless you and may God bless America again! 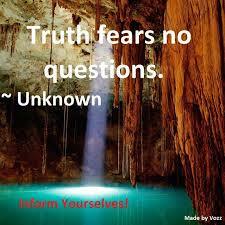 JUST BECAUSE YOU HEAR IT, SEE IT, OR READ IT – – Does Not Make If Factual…. I was carrying on a conversation with an acquaintance about the situation in Washington and how it disturbed me that the Republicans appeared to be caving as well as how little defense they were offering but how vicious the Democrats were including the President toward them. As we discussed the matter, we thought privately, off to one side this individual charged in screaming saying, “It is on the news how the Republican Tea Baggers are holding the government hostage, wanting to destroy the government, take away all our food stamps, health care, want us to breath dirty water, eat bad food, and not be able to have jobs.” That is when my aforementioned response came and the ensuing attack that I received. Folks, it does not matter if a Democrat, Republican, Libertarian, Constitutionalist, Socialist, Communist, Atheist, Muslim, or Christian says something THAT DOES NOT MAKE IT RIGHT. Just because it is on the internet, in the newspaper, on the television, in the movies or comes from the Oval Office, the floor of either, Houses of Congress or the Supreme Court THAT DOES NOT MAKE IT FACTUAL. It simply means that it is being reported and I follow the prescription, as best I can, of finding out for myself if it is true or not. I don’t automatically swallow what the GOP, Fox News, the Blaze, Rush, Sean, Mark Levin, or any other personality says – – I WANT TO KNOW THE FACTS! I have made mistakes and believed that something was factual without fully examining the facts and have had to back track. I didn’t enjoy that, not solely because I was wrong but because I likely misled someone else. I am a follow of God, the God of the Christian Bible and in His book He directs us to seek TRUTH. We are told in Scripture to ‘hear the conclusion of the whole matter’ before rendering a judgment. Paul commended the Berean Christians in Acts 17 saying that they were ‘more noble’ than those in Thessalonica for the simple reason that they received the message gladly and then examined the Scriptures daily to check out what the apostle was saying. Paul had no fear of his words being examined and neither should we. Truth will bear up under the light and every postulation should be held to the light to see if it is valid. The name calling and fear mongering that has been and is taking place in Washington, the intentional inflicting of pain economically and emotionally being demanded and inflicted by this Administration, and the refusal to sit down and talk rationally, sensibly, above partisanship is DISGUSTING. I’ve seen more polls than I care to remember over the past few months and it seems that the polls that are not skewed toward a particular ideology, all indicate that a vast majority of the voting public is FED UP WITH GOVERNMENT as it now exists, and that touches the Republicans, Democrats, and the sitting President. I know that reflects my personal views! The Republicans have let me down! The Democrats have assaulted that which I hold dear, the Constitution, Freedom, and America! The President appears to have an agenda that if it were fully exposed would send shock waves of horror through every patriotic American! Yet, they play games with words, and politics and WE THE PEOPLE are the ones who suffer. 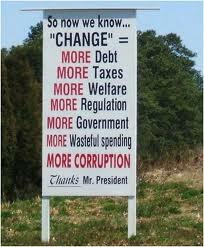 For Mr. Obama and the Democrats to turn a blind eye to the fiscal problems of this government is criminal. For the Republicans to participate in the perpetuation of this fraud is criminal. There are so few politicians today, in Washington, who even remotely appears to be interested in the Constitution, and the people. I almost feel like Diogenes of Sinope also known as Diogenes the Cynic walking about with a lantern supposedly looking for ‘an honest man’ I am looking for ‘an honest politician.’ I fear that as Diogenes reportedly failed I most assuredly will in my named pursuit. 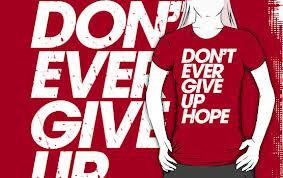 But, I will not give up hope. I will not throw in the towel. I will not surrender. I will, as long as I draw breath and have the ability to write, defend America, Freedom, and Free Enterprise. If America was worth the cost to establish in 1776 it is worth fighting for to preserve in the 2000’s. God help us if we do not stand for something! May God watch over you, guard and guide you and may God bless America! 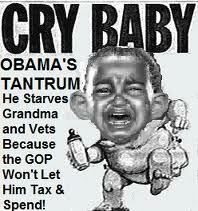 MEET THE PETTY PETULANT AMERICAN PRESIDENT – Barack Obama!!!! Of the many synonyms for ‘petulant’ we find peevish, bad-tempered, querulous, pettish, fretful, cross, irritable, sulky, snappish, crotchety, touchy, tetchy, testy, fractious, grumpy, disgruntled, crabby, insolent, impatient, pouting, bratty, ungracious, fault-finding. One sentence example was – “He is easily irritated or annoyed; an incorrigibly fractious person; not the least nettlesome of his countrymen.” All those synonyms and the sentence fit this President to the ‘T’. He is one of, if not the most petty I have ever observed. 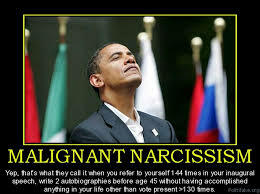 He resorts to ‘name calling’, throwing ‘temper tantrums’, huffing out of the room and bullying to get his way. He reminds me of a ‘spoiled child’ much in need of the board of education applied behind the barn in the aft portion of the body. It would seem that his life has been one of being catered to and having such an ‘entitlement mentality’ that he truly believes that his is a ‘rock star’ or some ‘god’ and everyone should be in awe of him when he walks into the room. To question him or disagree with him is beyond his ability to accept or deal with. I can only imagine working for or with him because one would have to walk on egg shells all the time for fear that he would blow a gasket over the smallest of things. He has, from all appearance, an incredible lack of ability to be forthcoming and honest. It seems that, to him, the truth is whatever he desires it to be without concern for the facts. Even when he publicly makes a statement or promise and it comes to light that it is erroneous he then declares that he did not say that as with his Syrian Red Line he claimed the world drew the line not Barack Obama. He often appears incapable of comprehending that as a human being (I am loosely attributing that status to him) he is capable of being wrong as most of us learned early on in life. However, no one in his entourage, cabinet, party, or even most Republicans has the courage to ‘call it like it is’. Sadly, the Republicans in Congress of the McCain, Boehner, Peter King, Lisa Murkowski, Chuck Grassley ilk, and others all want to ‘kiss the king’s ring’ and bow at his alter rather than standing for the Constitution, and the principles this nation was founded on. 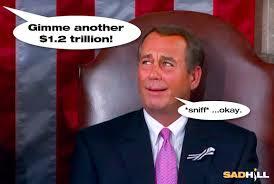 It is past time that we CLEAN HOUSE in the HOUSE and SENATE and send every RINO home that we can. It is time that we identify them and call them out. It is time that we diligently work to find people to ‘primary’ them with and seek to defeat them so we can have constitutional, conservative, America loving candidates in the general elections across this nation. That means that each of us in our local precincts must work to support that type of candidate. We need to become involved in the process on a county-wide and state-wide basis. We need to volunteer, campaign for, and contribute as we can to the cause of Constitutional, Conservative, and America loving candidates. 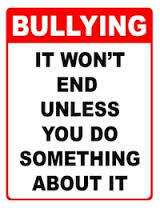 If we fail to stand up to the BULLIES in the White House, the Democrat, and Republican Parties we are sealing the doom of this Republic that we have loved and hold dear. 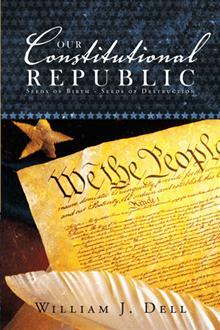 We will have failed to do what Benjamin Franklin said, “We have a Republic if we can keep it.” It is ours. The government is supposed to be ‘of the people, for the people, and by the people.’ It is not to be of the Aristocratic Political Elite in Washington or the State Houses, it is to be the Joe the Plumber, and Morris the Electricians of this nation. It is to be the average citizen who works, pays taxes, and follows the rules. I want my country back and am committed to doing all in my power to see that become a reality. 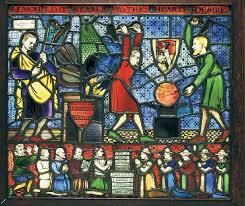 So as you focus on the upcoming elections I plead with you to invest your time, energy, and finances to RECLAIMING AMERICA the America the colonist fought for and the Framers provided for us. If it is worth having it is worth fighting for! 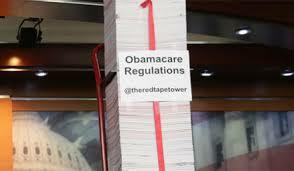 THE COMPASSIONATE AND INFORMED DEMOCRATS…..
On October 2, 2013 Representative Henry Waxman (D. California) was asked if he had read all 10,535 pages of the final regulations of Obamacare that have been published thus far by the Federal Resister he replied, “Is it important that I read it?” Duh! Congressman you are part of Legislature that passed the Affordable Health Care Act and the Patient Protection and Affordable Care Act (PPACA) as well as the Health Care and Education Reconciliation Act (HCERA). We have had 110 final regulations published, to date, by the Federal Register on how Obamacare will be implemented, so – YES IT IS IMPORTANT THAT YOU READ IT! This thing is so massive that NO ONE truly knows what is in it and as one writer pointed out it is eight times the number of pages than there are in the Gutenberg Bible which has 642 two-sided pages or 1,286 pages. Harry Reid stated that Democrats won’t ‘pick and choose’ what parts of the government to fund while speaking at a press conference on October 2nd. CNN reporter Dana Bash asked about helping out a hypothetical ‘one child with cancer’ and Reid responded, “Why would we do that?” How is that for the loving, compassionate, caring Democrats? The President on the other hand demonstrated his incredible concern for the situation in Washington by showing off his skills – on the golf course! He reportedly set a new personal best during the round. Now that is incredibly important! 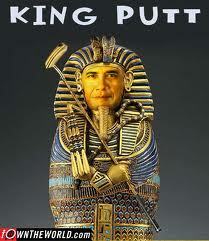 We certainly need the President to improve his golf game while the country goes to hell in a hand basket, so to speak. In fact that round was the 35th round of the year meaning he has played more golf this year than any previous year with 19 last year (a down year), 34 in 2011, and 30 in 2010. I wish I could have played half that many personally but I was too busy trying to insure that my family was taken care of, but then I’m not a King so we lowly must work while the aristocrats play. Prior to 1995 in the face of a government ‘shut down’ the terms used for people or services that would be affected was ‘essential’ or ‘non-essential’. That was tweaked because it was not deemed politically correct terminology so now we are calling it ‘excepted’ and ‘non-excepted.’ However, many are still using the old terms but only when they are trying to reflect badly on the Republicans. The military continues to operate, the embassies stay open around the world, the mail continues to run, air traffic controllers stay on the job, all emergency medical services, border patrol, federal prisons, most law enforcement, emergency disaster assistance, overseeing the banking system, operating the power grid, and guarding federal property continues without interruption. That is unless Mr. Obama decides to violate the law and the Constitution and do something differently and as he has said repeatedly, “I’m in charge I’ll do what I want.” I was unaware that the election of 2008 or 2012 was to install a Dictator or Emperor in the United States but I guess I missed that memo. Since over 70% of Americans are opposed to the Affordable Health Care Act aka Obamacare it would seem logical that the latest compromise that the Repuplicrats offered to DELAY Obamacare would be acceptable since Mr. Obama has already arbitrarily delayed the Employer Mandate without Constitutional authority, I might add. 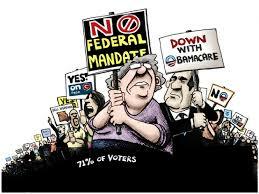 It would seem that the delay of the Individual Mandate would be no big deal but since the objective is to MAKE AMERICA HURT in order to punish the Republicans in an effort to regain control of the House in 2014 we have the adamant unflinching authoritarian demand that NO NEGOTIATIONS WITH REPUBLICANS…. Thus we have the shutdown! Who will blink first? Probably the Republicans for they fully believe that their position is so tedious and they are filled with such trepidation that will, as in the past cave. Of course Mr. Obama, in the media, is declaring that he has ‘bent over backward’ to work with the Republicans and would gladly negotiate with them on Obamacare IF they give him ‘everything he wants’ on the budget and spending. Pardon me, but if I give the person I’m trying to negotiate with EVERYTHING THEY WANT what do I have left to negotiate with? But, I keep forgetting that Mr. Obama and the Democrats consider is ‘ignorant’ beyond measure and the voters keep proving them right! What will that mean in 2014? It will probably mean that the Democrats gain seats and the Republicans become the villains they are being painted in the minds of millions of voters. The scare tactics used by the Democrats and the failure to articulate, package, and sell their platform by the Republicans will likely mean disastrous results in 2014 and possibly 2016. We so need a Ronald Reagan who is both conservative and articulate to rise up in the name of Constitutionality and Conservatism. America needs a Moses to lead us out of this wilderness of debt, deficit, and tyranny. I plead with one and all to become involved like never before, stay informed, and if you pray please become an intercessor for this nation. Our present and our future as a Free People depend on what we do in the next few years! God bless you and God bless America again!